At Excel Consultant, we’re passionate about helping companies reach their full potential with the power of Microsoft technology. We assist organizations, institutions, government agencies, and businesses of all sizes in streamlining their software for success. Our main headquarters are located in Irvine, CA, just a short commute away from the bustling metropolitan region of Los Angeles County. Excel Consultant’s expert advisers, instructors, developers, and programmers often collaborate with Los Angeles-based clientele. With nearly 250,000 businesses operating in this region, it comes as no surprise that many benefit from our services., contact us today to find out more about Excel Consultant’s services or schedule a consultation for your Los Angeles-based company. The Tongva and Chumash Native American tribes had lived in this region for centuries, but Los Angeles was dubbed as such and incorporated as an official Spanish pueblo nearly 250 years ago, in 1781. The city and surrounding areas became a part of the United States in 1847, when America won it from Mexico. Over the next hundred years, Los Angeles experienced rapid growth—railroads made it easy for people to settle out west in this burgeoning area, oil tycoons began drilling the region’s petroleum, famous builder William Mulholland put much of the country’s infrastructure in place, the film industry turned a few cheap lots into Hollywood, and, as the city reached its population capacity, Los Angeles began its signature sprawl into surrounding suburbs. Today, Los Angeles County is one of the most populous areas in both the United States and the world, with nearly 10 million residents. This important commercial and cultural center encompasses 88 cities, two islands (Santa Catalina and San Clemente), numerous nature preserves, and hundreds of tourist destinations. This county is the number one international trade and manufacturing center in the whole of the United States, producing billions in revenue every year. The region is also known for its incredible diversity—people from all over the globe have settled in this sunny, clement climate. Los Angeles and its myriad activities continue to capture the attention of businesspeople, artists, entertainers, politicians, and more. In the modern world, virtually every enterprise relies on computer software to function. With our extensive knowledge of and ability to manipulate Microsoft programs, the Excel Consultant team can aid clients as varied as Los Angeles itself, from governmental departments to small businesses. Our close proximity to this county makes it easy for our team to cooperate with Los Angeles-based clients. We regularly deliver training workshops, provide consulting, handle technological difficulties, and code new programs there. 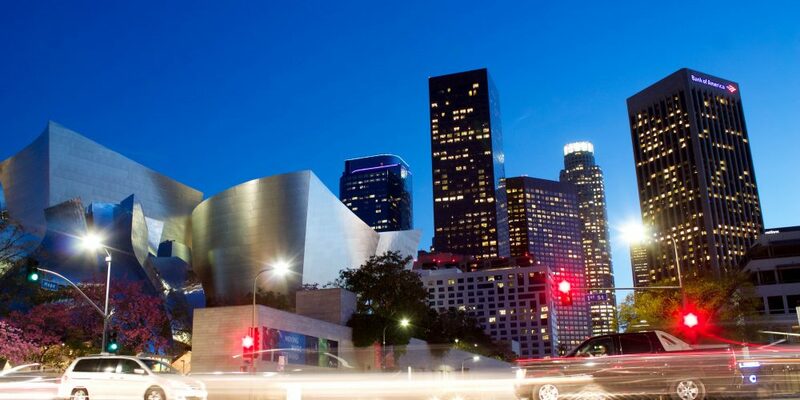 Since our consultants live and work in the area, we also understand Los Angeles-based companies’ unique needs and preferences. The Charles Drew University of Medicine and Science. This private institution educates the next generations of healthcare professionals and conducts clinical research to improve medicine. It was founded in south Los Angeles in 1966 as part of an effort to provide better health services to the diverse populations in this area. The City of Long Beach. Long Beach is a large city in southern Los Angeles County, known for its oil industry, shipping ports, California State University, arts, and culture. The City of Long Beach supports the bureaucratic functions of this thriving city. Core Laboratories. Core Lab is a highly specialized oil reservoir development, management, and enhancement company based in Long Beach. Core Lab’s technicians assist oil-drilling companies across the world, from Houston to Abu Dhabi. Given the technical and international nature of the company’s service, Core Lab needs successful software. The Queen Mary. The RMS Queen Mary was a luxury ocean liner that sailed across the Atlantic in the early twentieth century but has been permanently docked in Long Beach for decades. Today, tourists can visit The Queen Mary’s museum, tour the boat, and stay in its cabins as hotel rooms. Our Los Angeles-based Senior Access Consultant, Project Manager, and Senior Access Trainer, Stan Batsalkin, is a master of Microsoft’s database software. He configures systems, develops customized solutions for businesses, trains clients in this technology, and performs maintenance to keep digital information organized. Stan can come on-site to your Los Angeles office to help you make the most of Microsoft Access and other programs. Does Your Los Angeles County Business Need Software Solutions? Are your spreadsheets sluggish? Do you need custom programs for your company? Is it time for your organization to upgrade its software? Excel Consultant can help. To learn more about our services or schedule a free consultation for your Los Angeles County-based business, contact our consultancy today.